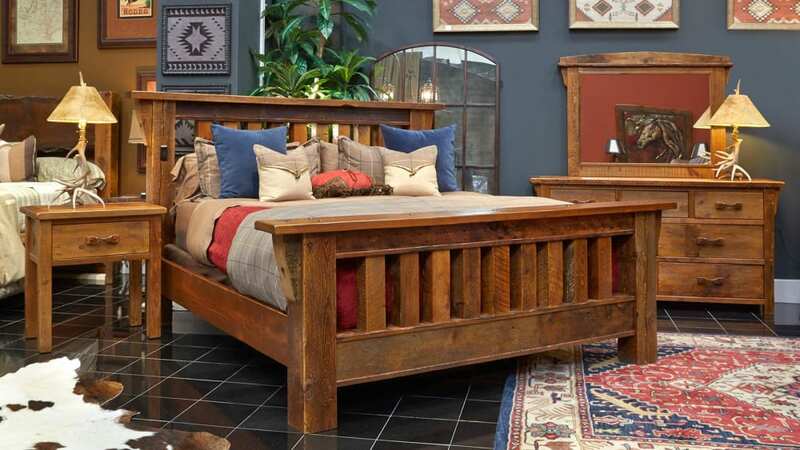 Made in America with pride from reclaimed 100-year-old solid wood barn beams. Features one king bed, one nightstand, and one dresser & mirror for a complete, cohesive look for your bedroom. Time-honored, handcrafted construction techniques make this both durable and aesthetically pleasing. Reclaimed timber is from old growth trees, making the wood denser and stronger. The naturally aged timber creates a unique one-of-a-kind look that will kindle warmth and charm in your bedroom. The furniture is completed with an enduring finish, which highlights the remarkable wood.